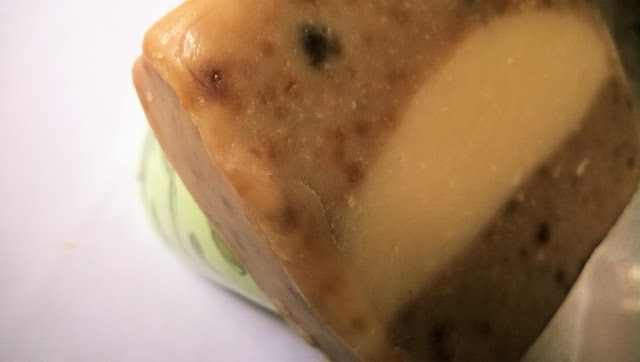 Again I am back with the review of a soap. Well, I used to be a coffee addict at one point of time, but now I have restricted my intake to 1 mug a day. So why not indulge in bath & skincare products that have coffee in them. 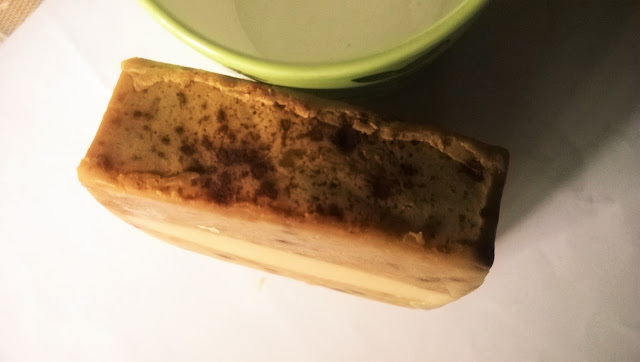 Today I will be reviewing the Sheer Care Coffee Bar. The coffee bar, for a true luxurious spa like experience is now available for sale on our website. 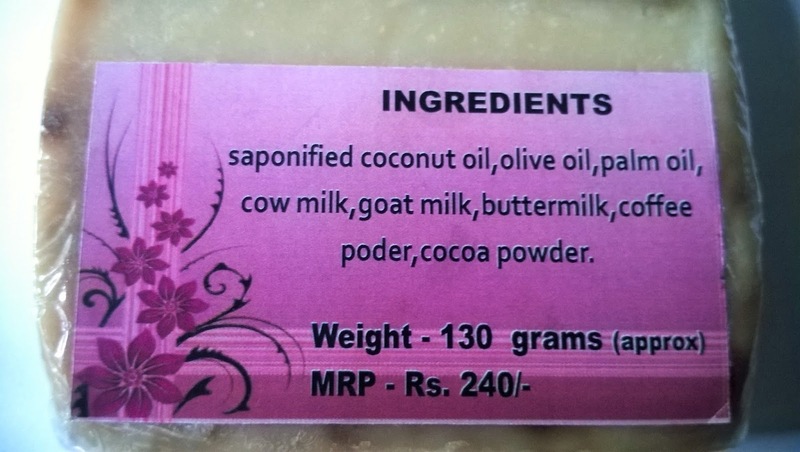 containing the wholesome goodness of raw natural coffee to act as a gentle scrub,added with goat milk,cow milk,buttermilk(ohhh so milky) that contains lactic acid to mildly exfoliate as well as nourish your skin and olive oil and coconut oil to clean the skin without disturbing its natural balance. 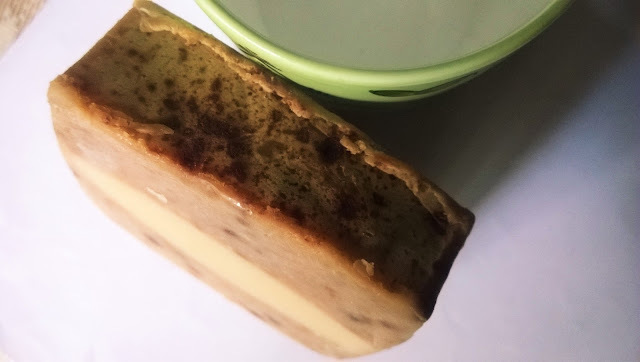 Packaging: Sheer Care Coffee Bar comes in a thin plastic wrap. Product: The bar is coffee brown in colour with splatters of coffee at the side and smells like a mix of herbal ingredients and milk. My Experience: Adding coffee for DIY bath products is not uncommon. I myself have made coffee scrubs with sugar. And frankly it smells just divine. 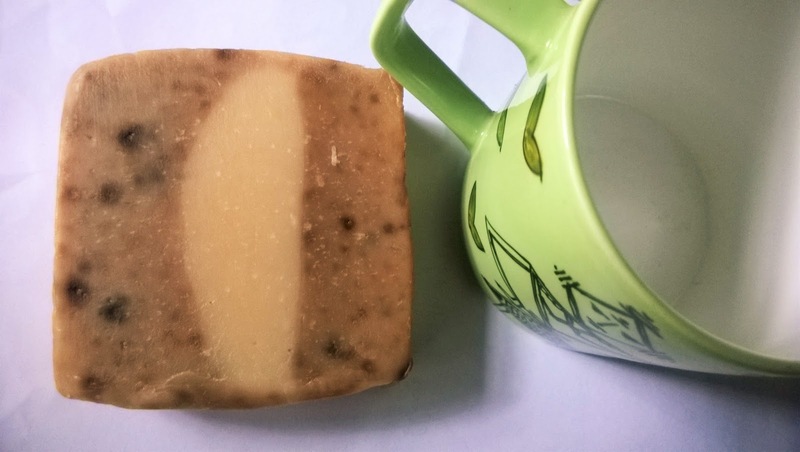 I was expecting that kind of fragrance from Sheer Care Coffee Bar soap, but it ended up smelling more of milk, which is fine with me as I use milk everyday for cleaning my face. The soap has strong exfoliating properties and foams decently. 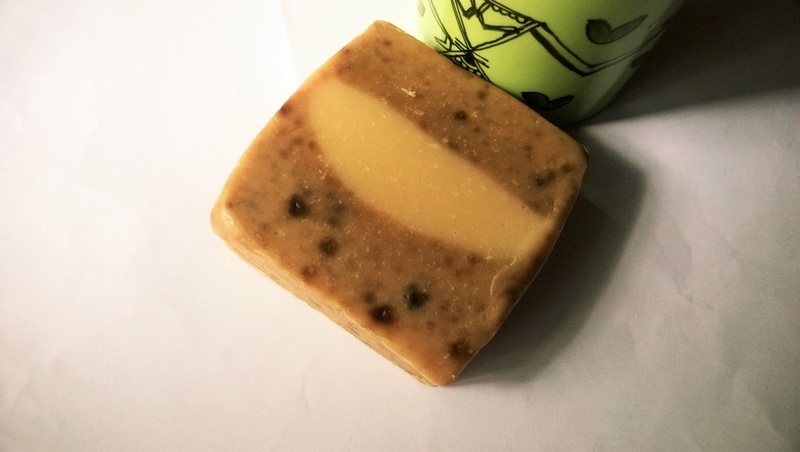 I like the buttery feel it provides after the wash. You can feel the oils present inside the soap actually. 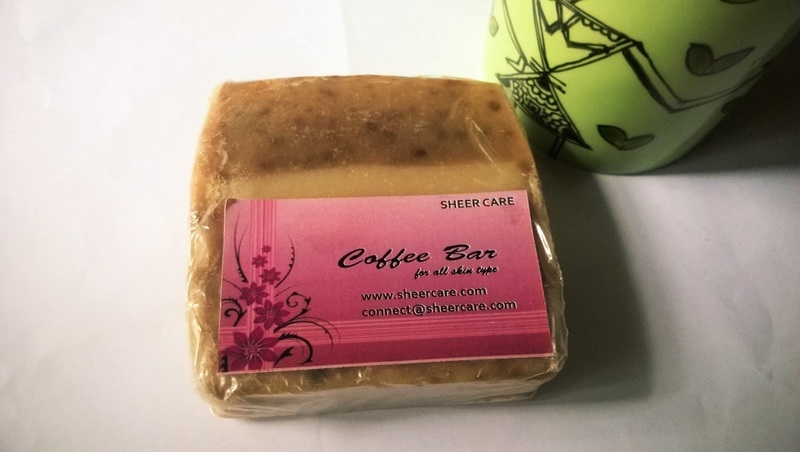 Sheer Care Coffee Bar is a very good bathing bar for all types of skin, even dry ones. However, because of the slight exfoliating effect it can be a bit harsh for very sensitive skin. The skin becomes soft and smelling like milk. I am used to it, but those who are not very fond of the smell of milk may not like it. Sheer Care Coffee Bar is a soap that does a good job of exfoliating skin and is suitable for all type of skin, without leaving any dryness.